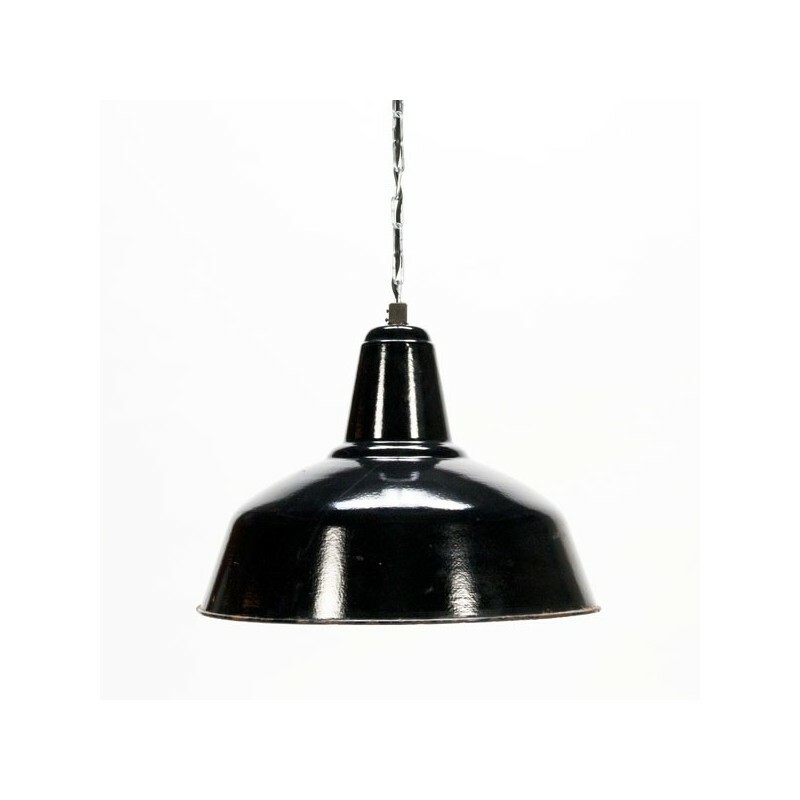 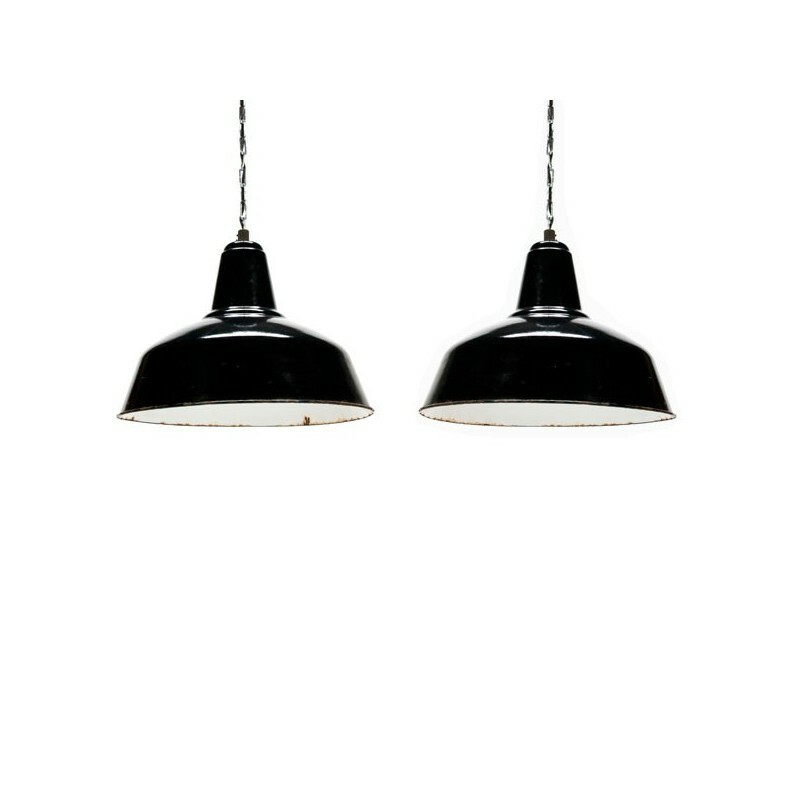 Set of 2 vintage industrial pendant lights in black enamel exterior and white interior. 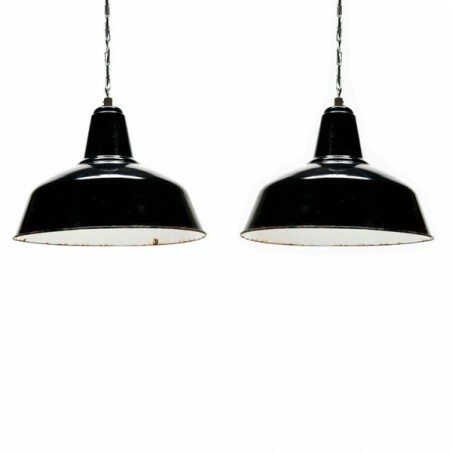 The lamps are in a good condition considering the age, see the detail photos. 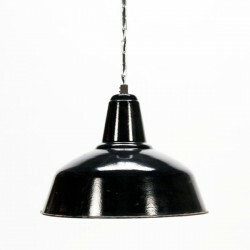 The size is 45 cm in diameter and 35 cm high.